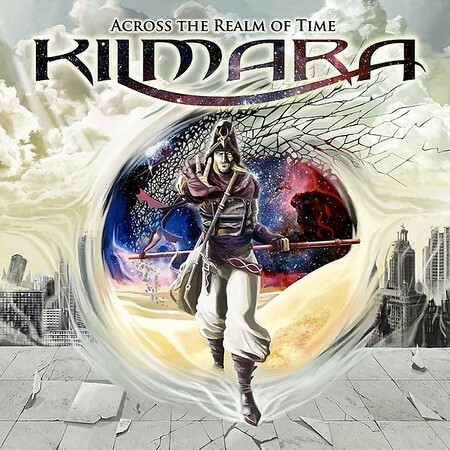 Spanish metal band Kilmara released their fourth album, “Across The Realm of Time”, through Rock of Angels Records (ROAR!) on 31st August. It is the first album from the band to feature new singer Dani Ponce; and also the first featuring a new guitarist and bass player as only two of the founding members remain from the line-up on the last album in 2014! I included the track “Out Fom The Darkness” on the NI Rocks A-Z Show on 14th August and “I Shall Rise Again” on the Friday NI Rocks Show on 31st August. Kilmara formed in 2003, having previously performed as Jadde from 1999. Their debut album “Haunting Dreams” was released in 2007, followed by “Don’t Fear The Wolf” in 2010 and “Love Songs And Other Nightmares” in 2014. The first three albums all featured the same line-up with the exception of the bass player as between 2003 and 2014 the band had included five different bassists. The original singer Christian Kohl was replaced in 2015 by American Dani Ponce and original guitarist Kikke Torres was replaced last year by Argentinian Miguel Laise. The new bass player is called Didakio. Those three join founding members, guitarist John Portillo and drummer Javier Morillo. There are guest appearances from Roland Grapow (ex Helloween / Masterplan) on a guitar solo and backing vocals, Jordi Longán (ex Ipsilon) on keyboards and Viktorie Surmøva (Surmatra, Rosa Nocturna, Victorius) on vocals.